These scooters are lively performers, and some people rate their performance as better than the 200’s. We’ll leave that debate for an evening over drinks, but we will say that these are excellent scooters to ride. Their performance was at the top for their time and is more than enough for today’s modern traffic. 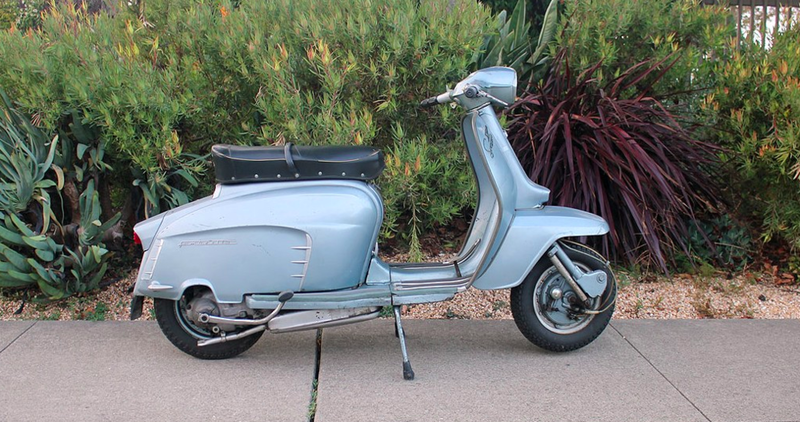 We found this scooter in Italy a few years ago and brought it back to San Francisco. It is kind of an odd duck, however. 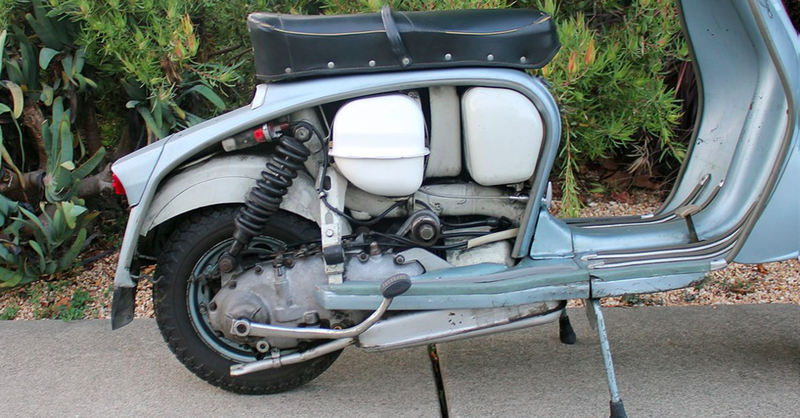 While it is a TV175, it has legshields from an SX200 Lambretta. Probably, the legshields were damaged at some point and were replaced with the only ones available at the time. This was clearly done decades ago because the patina on the entire scooter is even throughout. 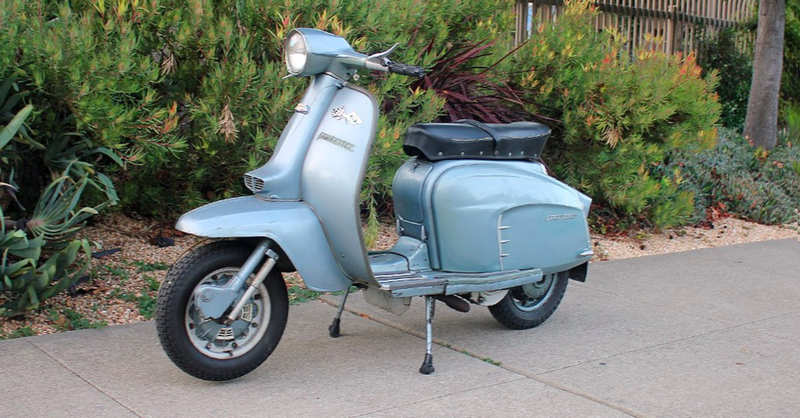 While not entirely original, we think this adds character and doesn’t detract from this scooter’s presentation.